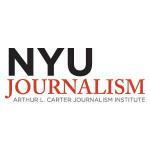 The Arthur L. Carter Journalism Institute of New York University's Faculty of Arts and Science is pleased to announce The Matthew Power Literary Reporting Award to provide the means for promising early-career, creative nonfiction writers to report on an untold story that uncovers truths about the human condition. Main prize: $6,000 upon announcement of the winning proposal; $3,000 upon evidence of substantial progress (usually a first draft); and $3,500 upon completion and acceptance by the Award committee. Runner-up prize: $4,000 upon announcement of the winning proposal. In addition, the award provides full access to New York University’s (“NYU”) vast library resources. The Winner will be named a Visiting Scholar at NYU for the duration of the Award period (April – November). The Winner will not be deemed to be an NYU employee by virtue of winning the Competition, submitting the Work, or publishing the Work in conjunction with NYU and will not be entitled to any employee benefits from NYU. The Winner will be responsible for the payment of any applicable taxes related to the prize. The initial monetary prizes will be provided by check within eight weeks of being awarded. Additional payments to the Winner will be made upon evidence of substantial progress, and again upon acceptance of the finished article. The Competition is open to anyone age 21 and older. The Institute encourages applications from early-career, nonfiction writers whose work will perpetuate the legacy of Matthew Power. The Winner’s Work must meet a high degree of excellence. Employees, volunteers, interns and agents of NYU, and each of their respective parent companies, affiliates, subsidiaries (“NYU Affiliates”). NYU graduates with degrees dated within two years of the application deadline. Journalists holding staff positions at established media outlets that are in a position to fund such projects on their own. The Winner and Runner-Up represent and warrant that all materials submitted for both the Competition entry and the Work are solely his/her own, with the exception of research and factchecking assistance, and that the Work will not violate or infringe any proprietary right of any third party. The Institute shall have no responsibility for any misstatements or copyright or other proprietary right infringements contained in the Work. The Winner and Runner-Up shall retain copyrights to the Work. The Institute shall have second rights to publishing the Work in any media, electronic or printed, as well as indefinite rights to publish the Work on the Institute website and for internal purposes. The published Work will provide credit to the Institute in a mutually agreeable form for sponsoring the Work.